The beautiful thing about building a home is that you genuinely start with a blank canvas. Once you’ve purchased the right lot, the real fun begins. But before you start thinking about quartz countertops, oak wood floors, and that inground pool, you have to think about what you want the exterior of your home to look like. 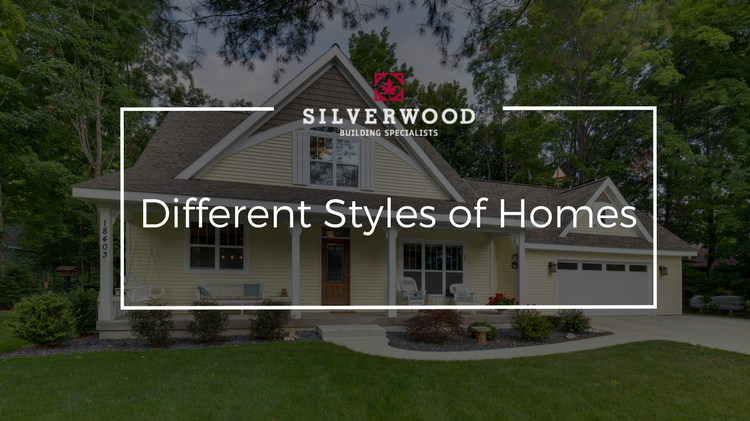 As you may know, there are different styles of homes, but what exactly do each of those styles bring? Bungalow and craftsman style homes were born out of the Arts and Crafts Movement during the end of the First World War. The focus on these two styles of homes is on the use of natural materials. Wood, stone, and brick are common features among these homes. Large front porches and low-pitched roofs, as well as an open floor plan with many built-ins, are common to both bungalow and craftsman style homes. Inspired by Great Britain’s thatched cottages, Cape Cod homes started appearing in the 1600s. Featuring steep roofs and large chimney, Cape Cod homes were originally built to withstand long cold winters that are common in the northeastern part of the United States. Cape Cod homes feature a symmetrical facade, double-hung windows, and a central hall layout. Cape Cods can be described as cozy homes that usually make for an outstanding starter home. European settlers made this style of home popular during the 1700s. There are different styles of colonial homes such as Georgian Colonial, Spanish Colonial, French Colonial, and Federal Colonial just to name a few. Although they all have their nuances, most colonial homes are large, square, and symmetrical. Both the exterior and interior are symmetrical. Colonial style homes feature rectangular windows, evenly spaced between one another. With contemporary homes “cookie cutter” designs are gone, and almost every exterior façade is different. Inside, however, there are many common themes among contemporary homes. For example, most contemporary homes feature wide open floor plans, a lot of natural light, and clean and straight lines. A lot of contemporary homes also feature stainless steel appliances and hard-surfaced countertops like granite, quartz, or marble. Simplicity, functionality, and sleekness are three common features among all contemporary homes. Mid-century modern homes are known for being quirky homes. Known for being extremely open homes that emphasize functionality. The flow of these homes proves that functionality is essential. A common theme among all mid-century modern homes is natural light. Most homes feature floor-to-ceiling windows letting sunlight soar into these homes. Finally, small changes in room level are a common theme. Small steps going up or down often to lead to a transition to a different room in a mid-century modern home. Common all over the United States, ranch style homes became popular among middle-class American post-WWII. When looking at a ranch style house, you’ll see a long, wide, and low-to-the-ground home. Ranch style homes are mostly single-story homes that feature a low roofline, simple floor plans, and large windows. Decorative shutters generally accompany the large windows. Sometimes within a ranch style home, you’ll find vaulted ceilings, and the bedroom will be in a separate part of the house from the living areas. Traditional homes are prevalent in all parts of the United States. Traditional homes are known for their mix of different styles and features that are typical of different regions. Common features of traditional homes include little ornamentations, simple rooflines, and symmetrically spaced windows. The floorplans within a traditional home vary, but typically an emphasis is based on comfortable living rather than architectural design. Fireplaces, porches, and sunrooms are common among traditional homes that increase comfortable living within them. Victorian homes are very distinctive in style. Originated in the United Kingdom, Victorian homes feature extravagant elements such as towers, turrets, dormers, and large wrap around porches. Windows are common in all parts of a Victorian home. Additionally, these windows are often stained-glass windows adding an artistic element to these homes. Victorian homes are an asymmetrical design, and their interior is often separated into different rooms. In building homes for over 35 years, we know a thing or two about each different style of home. Whether you’re looking for a simplistic Cape Cod on the outskirts of Traverse City or a big dramatic Victorian style home on Old Mission Peninsula, Silverwood Enterprises has the knowledge and experience to build the home of your dreams. Contact our professionals today and see why we’ve been building dreams for the last 35 years.